This is a sponsored conversation brought to you by Crest. “Good Morning!” Do you brush your teeth or run for your caffeine fix?! Confession: Mornings have never been good for me. My mother claims I’ve been a night owl since birth. I’ve always felt most productive in the late afternoon and evening, and am pretty well known for burning the midnight oil on creative projects often. 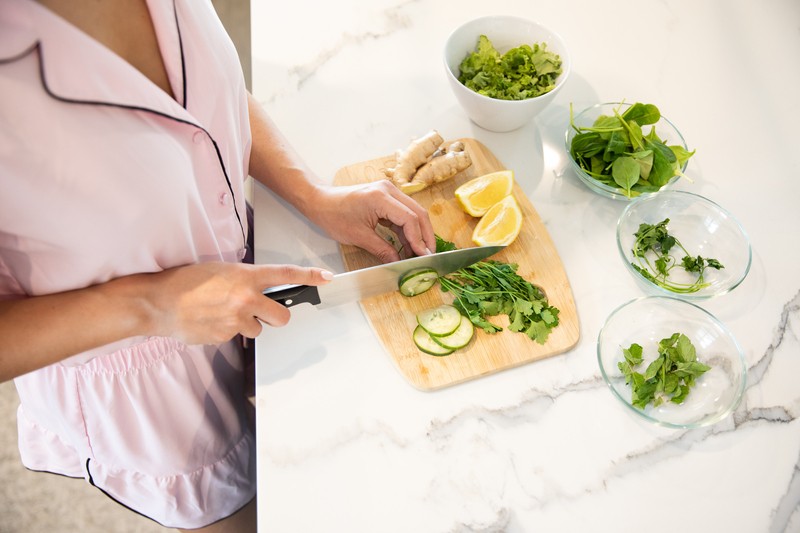 I cherish my quiet time in the morning when I sit in my kitchen (with Khloe on my lap) and review my schedule for the day, check emails and social media, and enjoy my breakfast before I really have to get down to business. 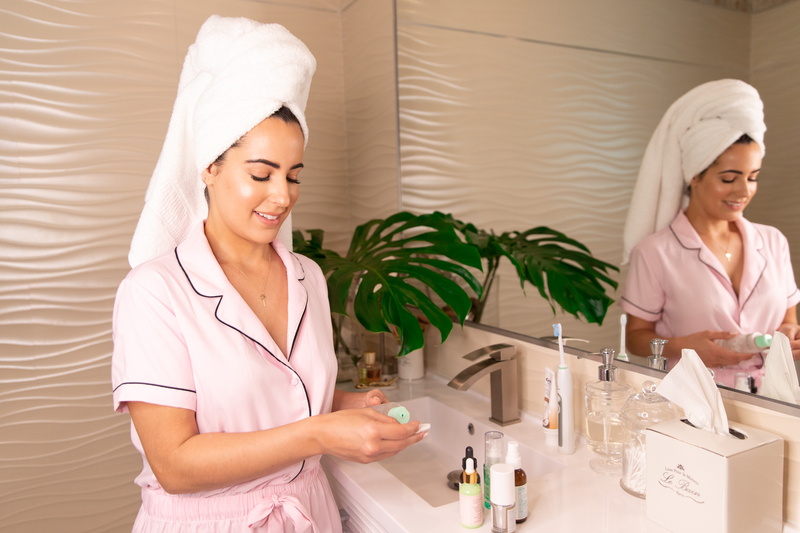 Once it’s time to “get ready,” my beauty routine really depends on what the rest of my day looks like. The first two steps never change, though: brushing my teeth with Crest 3D White, followed by my skincare. My smile is one of my favorite things about myself, and I take the time to care for it just like my skin. 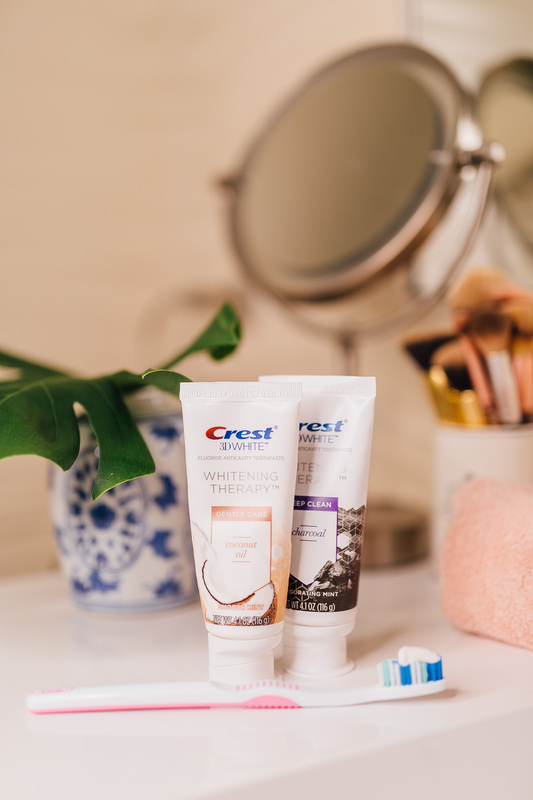 About a month ago, Crest sent over two of the newest additions to the Whitening Therapy toothpaste family–Charcoal and Coconut Oil–and I’ve been hooked on the Coconut Oil flavor ever since. It has a really yummy vanilla mint taste that’s not as intense as other mint-flavored toothpastes. (Is there anything more offensive than a strong mint aftertaste followed by your morning coffee? I think not.) 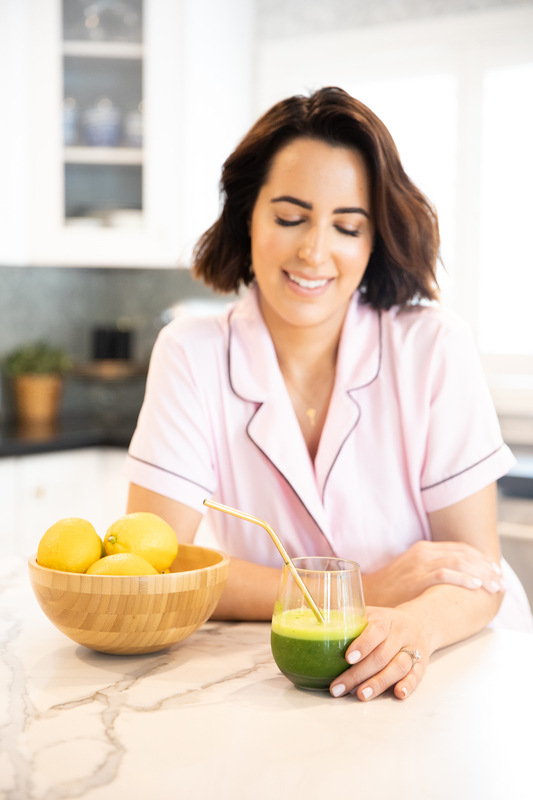 Whitening Therapy with Coconut Oil has the same benefits as my usual Crest toothpaste, removing surface stains and strengthening enamel to keep my pearly whites healthy and camera-ready. At $6.99*, it’s also probably the least expensive part of my beauty routine LOL. *For a limited time, Amazon is offering $2 off the 3-packs of Crest 3D White Charcoal and Crest 3D White Coconut Oil variants. On office days I skip makeup completely; if I have meetings lined up I like to keep it simple with just tinted moisturizer, concealer, blush and lipgloss; and if I’m shooting a TV segment or campaign that day I apply a full face of makeup. 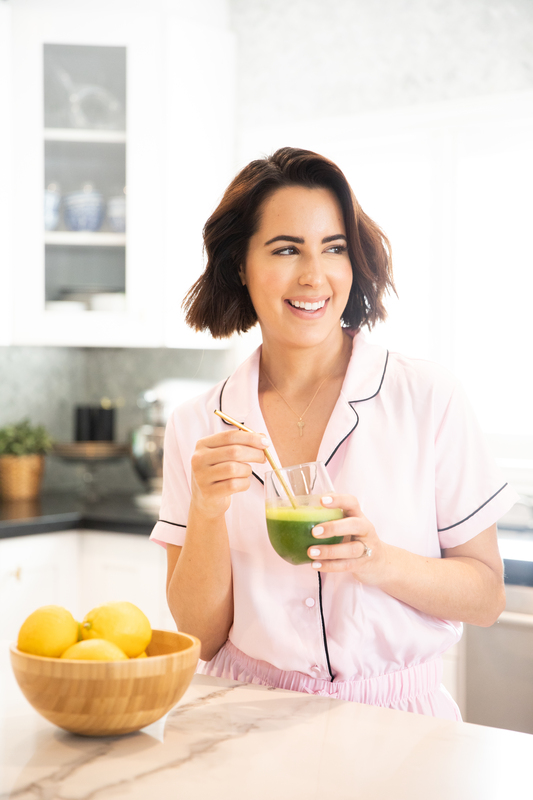 If I have the time I’ll make a fresh green juice in the morning, otherwise I alternate between a couple of hardboiled eggs or veggie egg muffins that I meal prep on Sunday evenings. Separate 12 eggs into large measuring bowl with spout. (I keep only 4 yolks.) Beat eggs and blend well with water. Add salt and pepper to taste, and your choice of shredded cheese; mix until combined. Chop veggies and divide into non-stick muffin pan. Fill cups about 2/3 full. Pour egg mixture into each muffin cup until it’s about ¾ full. Bake for 25 to 30 minutes, or until muffins have risen and are slightly browned and set. Egg muffins can be refrigerated for up to a week. How do you start your day? …I usually go for the caffeine first. This is a sponsored conversation brought to you by Crest. All thoughts and opinions are always my own.